A limited number of seats are available to be named in the new state-of-the-art Stiller Family Foundation Auditorium. 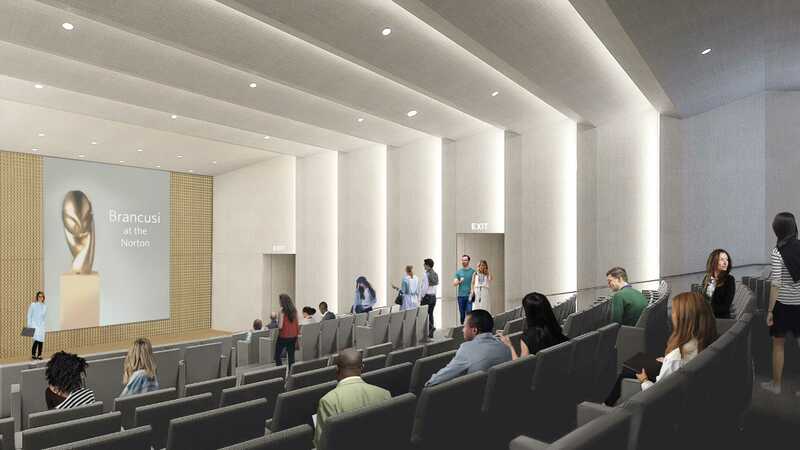 The auditorium will enhance the way the Museum engages with the community and significantly expand the scope of the institution’s programming by hosting internationally renowned artists, lecturers, and performers. Be part of the Norton’s transformative next chapter by naming a seat in someone’s honor, in memory of a loved one, for yourself, or your family with a contribution of $10,000 per seat. Every seat in the Stiller Family Foundation Auditorium provides wonderful views of world-class programming. A plaque engraved with your dedication will be mounted on each of your seats.